Designed to store and organise your classroom essentials. 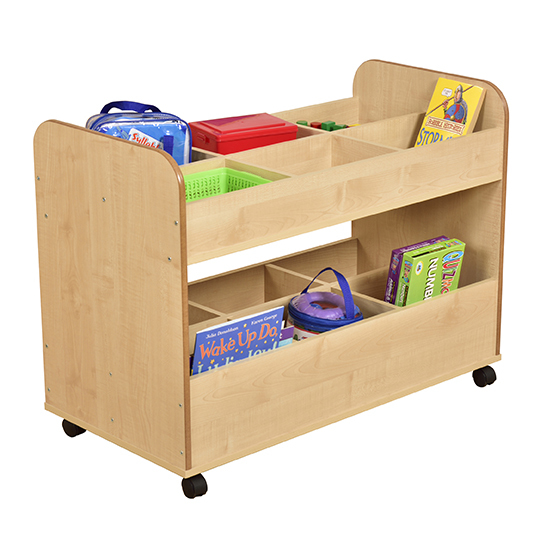 This attractive mobile unit has 6 separate storage compartments on both top and bottom. Edges are rounded and polished. Supplied with lockable castors.